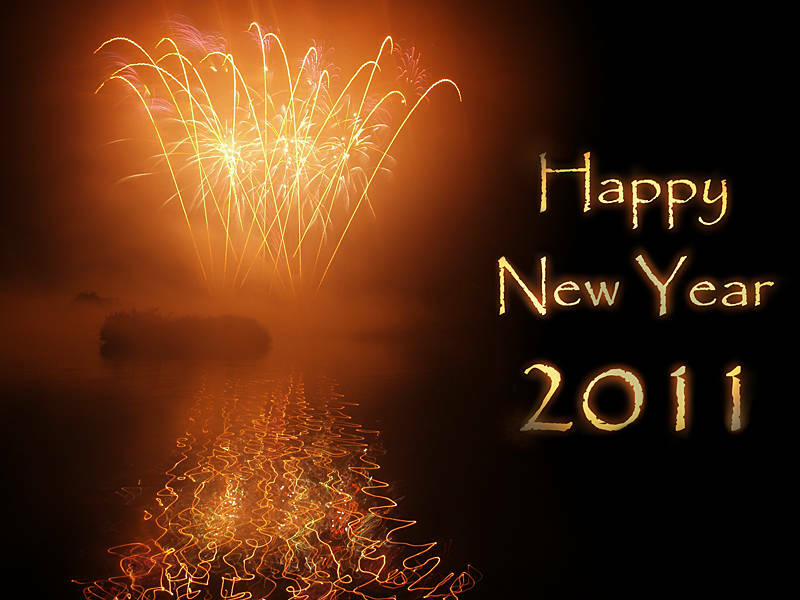 Happy New Year 2011. This was taken at the Ferry Meadows firework display in the UK. The glowing effect is made by first raterizing the text. This changes it from a vector to pixels. Once in pixels you can use bitmap effects in Photoshop. By using Gaussian blur on a copy of the text layer below you can create the glow.